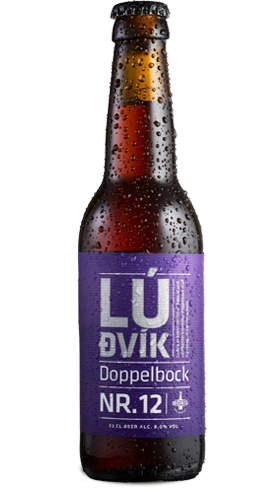 Lúðvík is named after the the father of Oktoberfest, King Ludwig II of Bavaria, who lifted Napoleon's ban on the brewing of Doppelbock beer. Like the king himself, Lúðvík is complex and unpredictable. The beer has a deep copper color, an aroma of burnt caramel and dried fruit, and befitting a Doppelbock it packs a punch at 8% ABV.